Editor’s Note: Jim Howard is a new Puck Junk contributor.Show him some love and leave him a comment below. 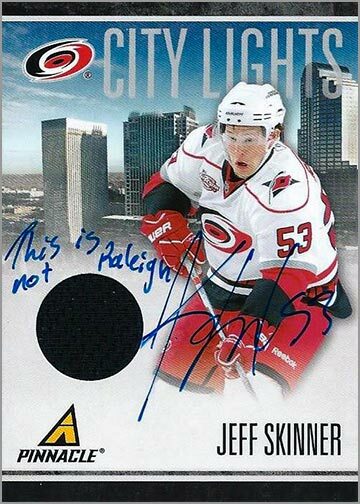 A few years ago, Panini released a cool, relatively inexpensive hockey series called Pinnacle. One of the nicer points was that it didn’t dole out the same stats that you found on every card that year, … Continue reading "Card of the Week: Wrong City Lights"